The enterprise software vendor will also be making the case for putting ERP in the cloud at the upcoming health IT conference. Many stakeholders in the healthcare industry say current healthcare models are not sustainable. They understand the impact digital transformation can have on creating more value in healthcare but perhaps are unsure how to make it happen. There is a need in healthcare to use digital transformation and data-driven approaches by integrating health data across silos and creating 360-degree longitudinal patient views, said Werner Eberhardt, global head of healthcare at SAP. It’s imperative to measure health outcomes and cost of care delivered for every patient, he said, and also to add intelligence to reduce inefficiencies like low-value manual tasks and multiple diagnostic tests. SAP will be exhibiting at HIMSS19 in Orlando in February, and will be showcasing the technologies to enable what it calls the “intelligent enterprise for healthcare,’“ said Eberhardt. He said the intelligent enterprise encompasses value-based care and operational efficiency, big data and advanced analytics to unlock the value of data. The intelligent enterprise for healthcare model means a comprehensive approach to leveraging clinical, financial, demographic and genomic patient data, so providers can create a logical data warehouse, he said. There, daily performance analysis can be used to manage population health quality and access metrics, resource capacity and productivity, clinical practice variations, medication adherence, readmission risk, patient satisfaction, revenue cycle optimization and more. In addition to the intelligent enterprise, SAP will also be highlighting at HIMSS19 the value of moving enterprise resource planning to the cloud – deriving value and insights from massive amounts of clinical and operational data in disparate systems. They also are missing out on an opportunity to use the data collected in these systems to make value-based purchasing decisions that would reduce costs and improve care, he said. Hosting ERP in the cloud will help healthcare organizations expedite the implementation cycle and consume technology and application innovations faster, he said. 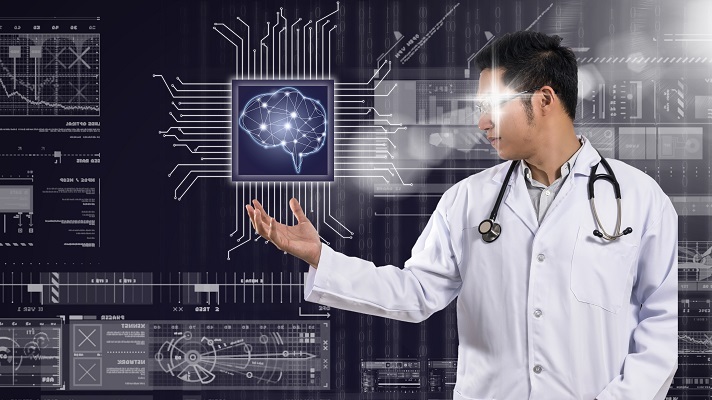 And on the other front, an intelligent enterprise for healthcare uses intelligent technologies, such as artificial intelligence, machine learning, the Internet of Things and real-time in-memory analytics to achieve operational and clinical excellence in care delivery. “As the healthcare industry shifts to a new reimbursement model, healthcare organizations strive to gain clear visibility to financial, operational and clinical performance indicators across the entire enterprise,” said Eberhardt. “SAP aims to provide an integrated, patient-centric ERP and high-performance analytics option that enables providers the ability to see provider-level P&L at the push of a button, and drill down to profitability and real cost at a patient and physician level based on live data residing in disparate systems,” he added. This helps the decision makers immediately identify cost hot-spots and improvement measures to reduce cost and improve efficiency, he added. The shift to value-based care is in part driving healthcare adoption of ERP. According to SAP, a cloud-based approach is preferable to on-premise servers, as the cloud enables more seamless interaction and planning between different facilities and units. A cloud ERP, for example, can more easily aggregate supply chain data from multiple sources than an on-premise ERP, according to the company. This is particularly important for comparing costs, performance and outcomes across different locations – a fundamental component of value-based purchasing. System boundaries that exist between the electronic health records, ERP and billing systems inhibit the possibility of gaining a comprehensive view of data and processes, he explained, noting SAP takes a federated approach to data analytics that taps decentralized, individual data sets for insights, which are collectively analyzed to produce real-world evidence. “Such evidence holds the key to reduce time and costs of new product approvals, identify new uses of existing products, increase ability to treat rare diseases, and improve clinical practices for using drugs and medical devices,” said Eberhardt. “The need of the hour is to drive for an integrated view of care and cost management across the healthcare enterprise, thereby obtaining maximum value from all the investment into provider’s clinical, financial and operational systems,” he added. And taking a federated approach to analytics can begin with almost any data-driven initiative, with each building on the success of the next, he said – from identifying unnecessary variation in surgical supplies to saving millions on labor without reducing staff. SAP will be in booth 2332 at HIMSS19.